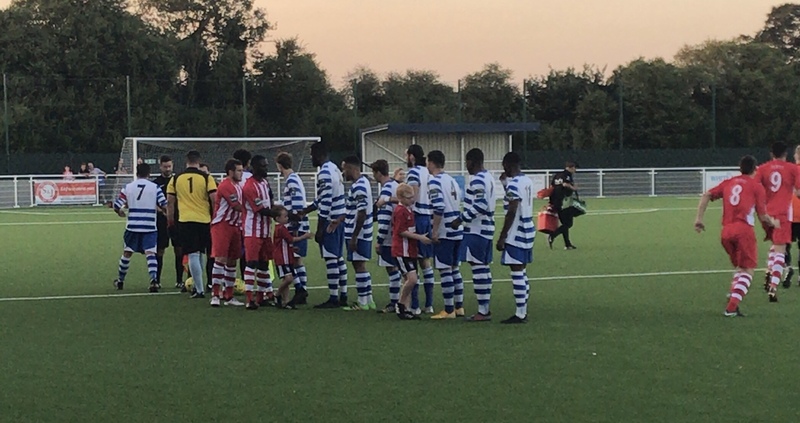 Travelled to Aveley FC last night to watch the new look Abbey team play Bowers and Pitsea in the Isthmian League Cup first round. Manager Mark Stimson basically put out a full reserve team to have a look at players and we were thumped 5-0. Our worst ever league cup defeat. Anyways no worry as it’s FA Cup day Saturday and the prize money from that is far more important to the club should we progress. What I can’t get my head round is the new ground at Aveley. Everyone is ranting about it but it just don’t feel like a football ground to me. I don’t understand the stands behind the goals being placed apart when there is plenty of room behind the goals and the clubhouse feels like a hospital reception to me. Just not that Football ground feeling even though the structure looks impressive in itself. The seating is shallow with spectators allowed to walk behind and it’s all so open and clinical! The tea bar has no cover over it either so if it rains not sure I wanna stand there in a queue. Anyway, you may say I’m jealous of the multi million pound ground but nah. I’ll take the old fashioned places all day long thanks. It’s all about opinions end of the day. That’s us in the Blue by the way.